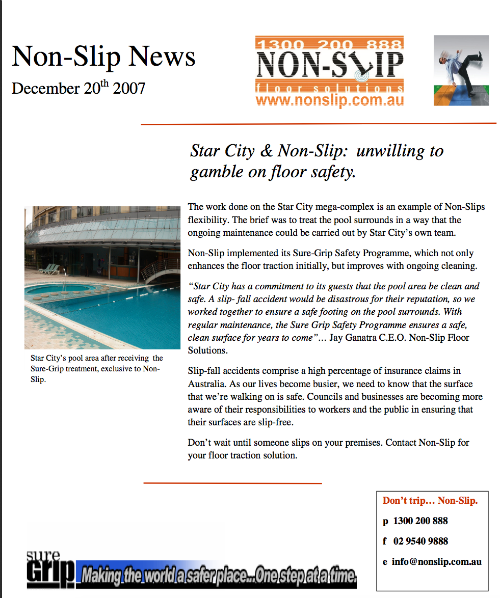 Star City & Non-Slip: Unwilling to gamble on Floor safety. 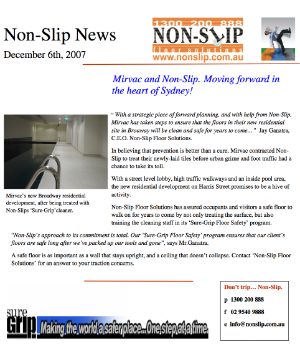 Mirvac and Non-Slip. Moving forward inthe heart of Sydney! 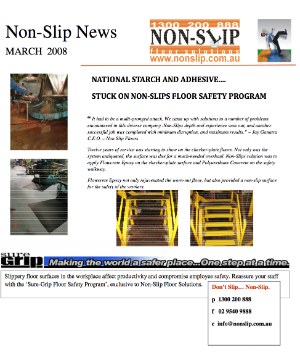 Railcorp is on track with Non-Slip! 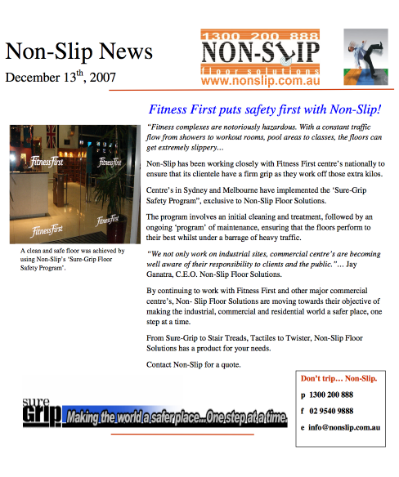 Fitness First outst safety first with Non-Slip!